Your blog or outline will take your attention this morning. Later, when the Moon goes into Scorpio, write those mysterious scenes. This afternoon is good for writing crime stories or murder mysteries. Later, Saturn trine Sun and Chiron will favor writing deeply emotional, heavy or mysterious scenes. 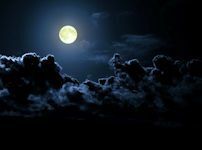 With Moon trine Neptune, you may be writing into the late night hours. Your best work could happen at midnight!